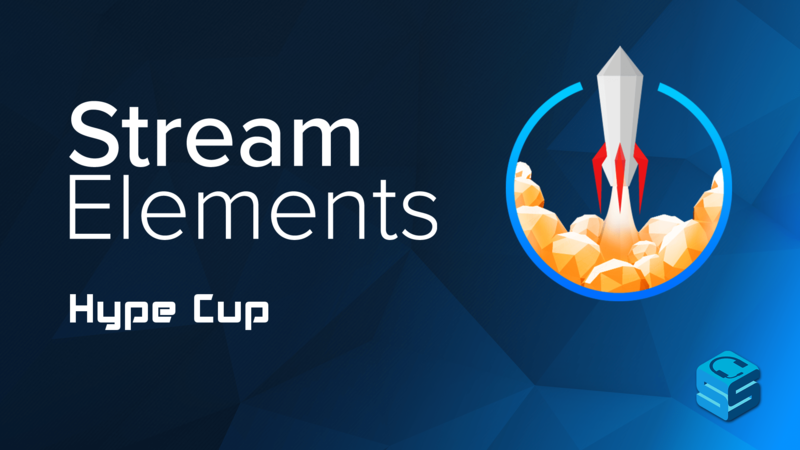 StreamElements has just released their own event cup for you to enjoy! The Hype Cup has all of your basic needs, being able to visualize all your alerts such as Cheers, Tips, Subscribers, Follows, and Hosts. Unlimited Variations: This means you may have a certain token drop at a $5 dollar tip but you can also make an entirely separate alert for something else like $1.23! The only thing that doesn’t have specific variations is Follows. This is because Twitch doesn’t have different stages of Follows (ie. Tier 1, 2, 3). Physics Mechanism: Change how your tokens interact even more by adjusting the size, shape, and weight. You can even adjust the gravity if you want a certain Tip token to drop really fast. Sprite Sheet images: Have your animated Cheermote? If you have the spreadsheet for it you can bring your tokens to life by uploading the sprite sheet! Setting it up is easy as just going into your StreamElements Overlay Editor -> Widgets -> Hype Cup. There are already some default variations for you to get your cup up and running right away but this is such an extremely in-depth Event Cup that I’m sure you will want to spend some time customizing! The event cup is a great way to have a fun way to celebrate all the people supporting your channel. Because of the scope of the Hype Cup, you can have something special for every event that happens!